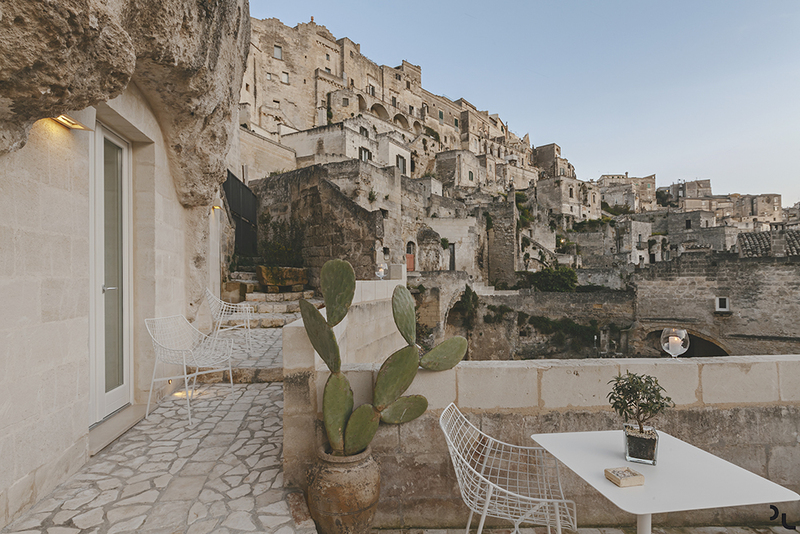 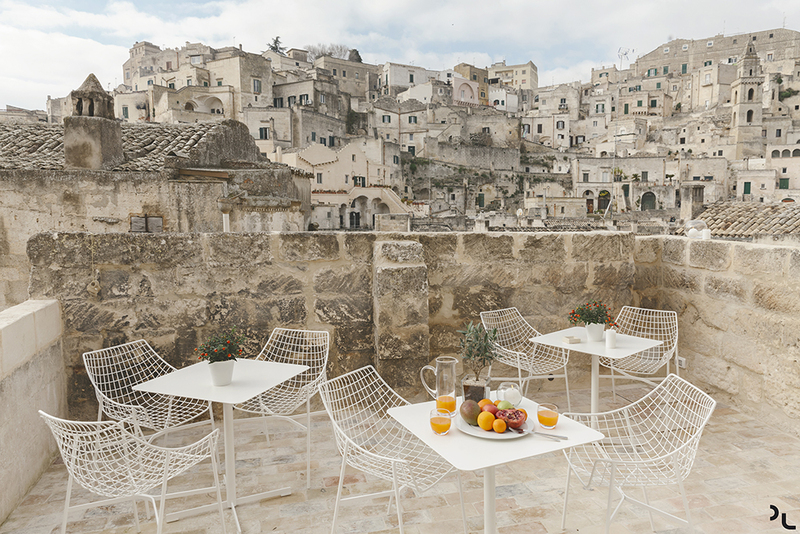 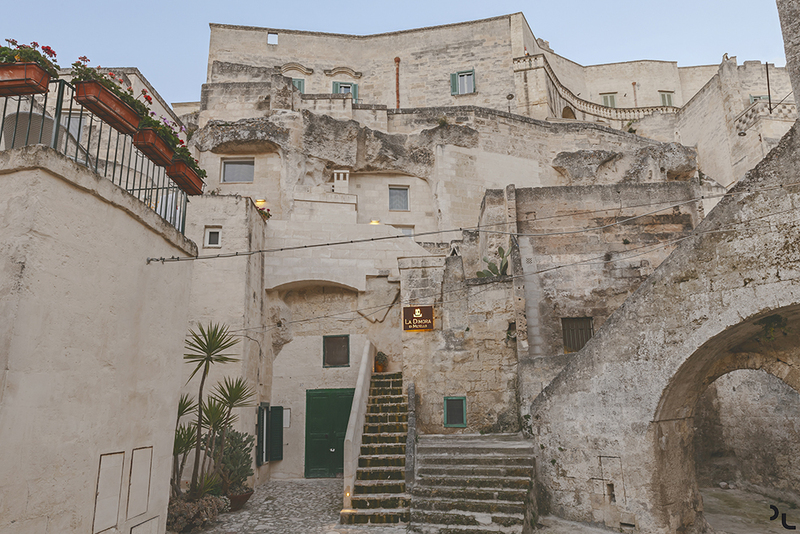 In the southern part of Italy in the historical town of Matera, are world famous cave-dwellings. 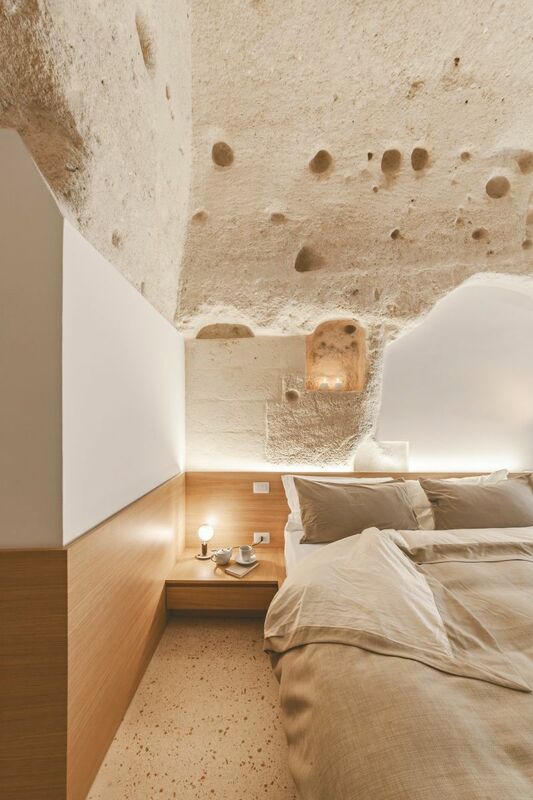 Carved thousands of years ago, these caves that were once homes and churches have recently been turned into a contemporary tourist hotel. 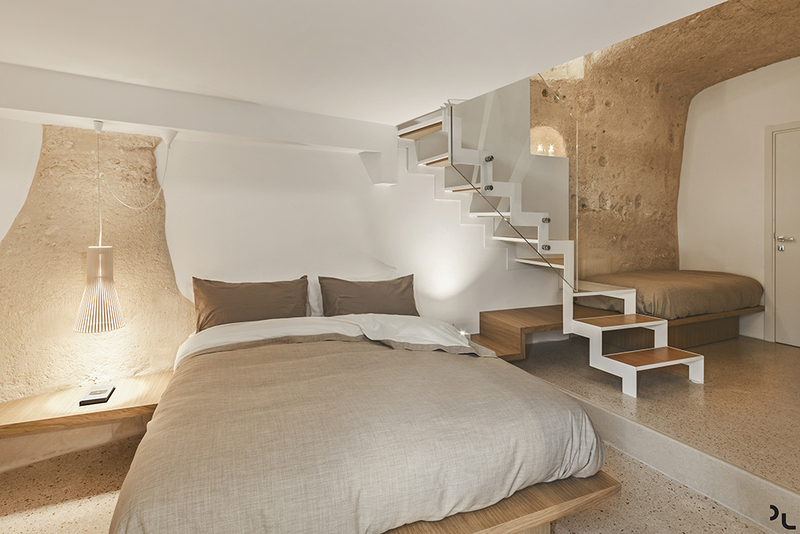 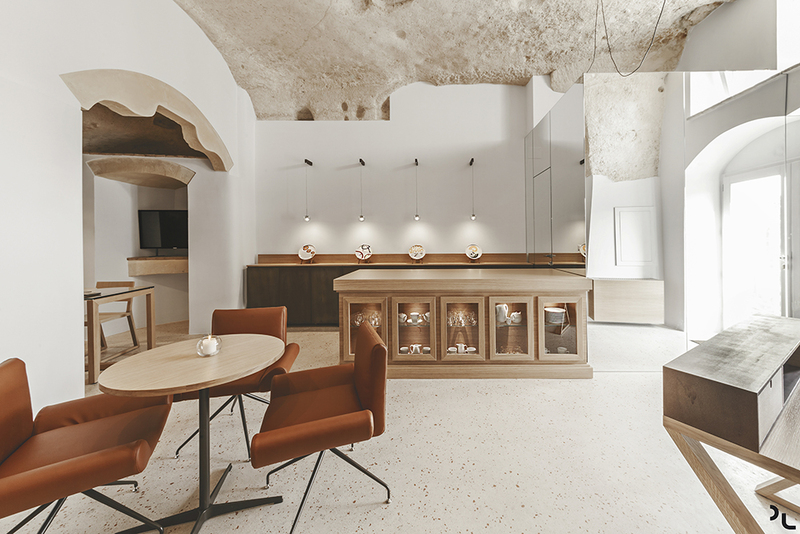 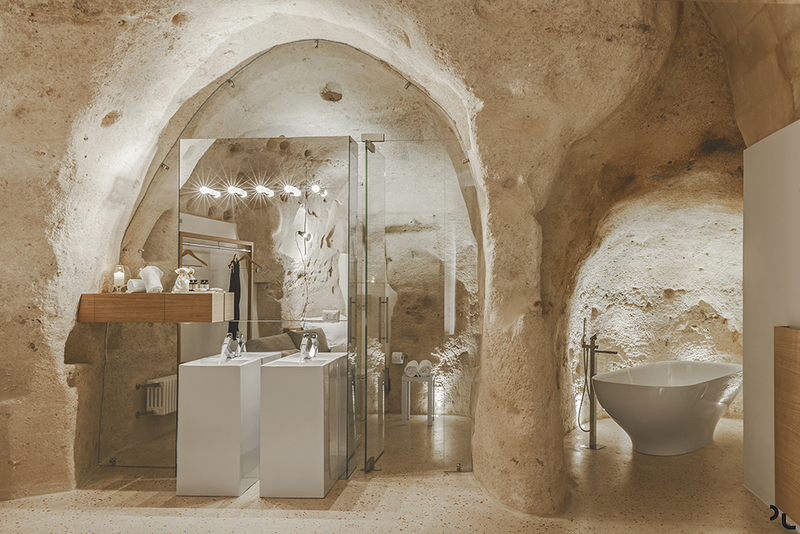 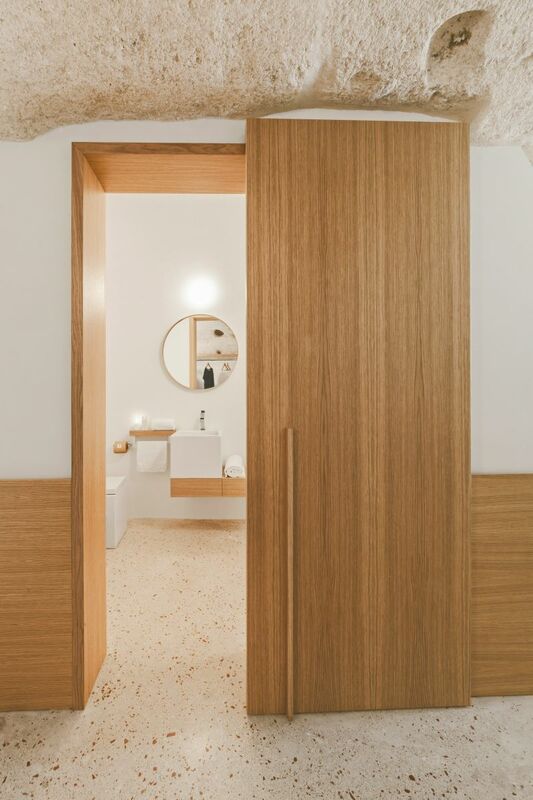 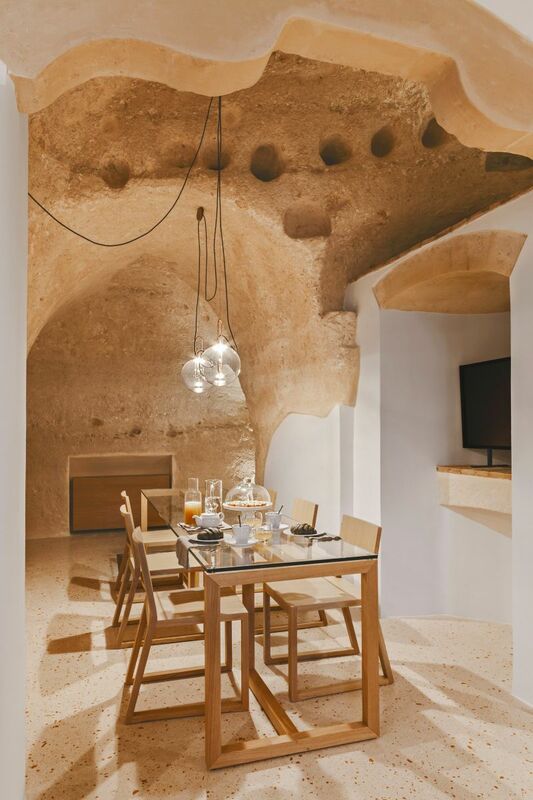 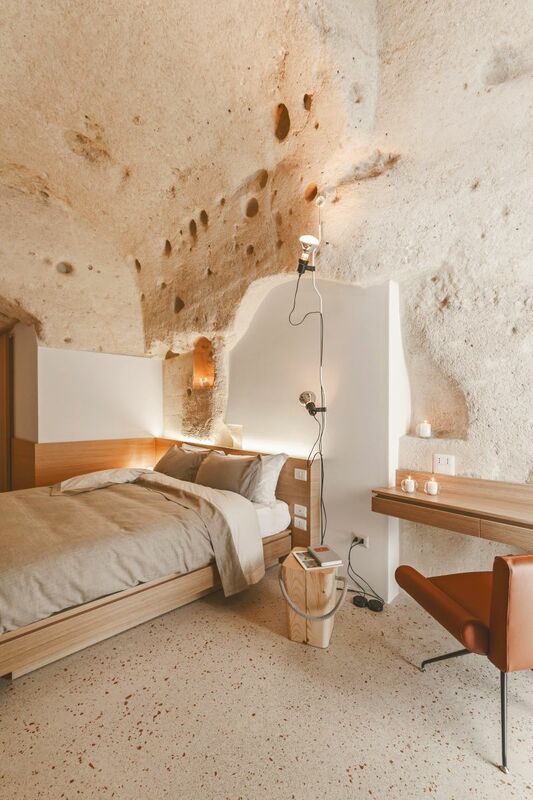 Designed by Manca Studio, 300 square meters of cave-dwellings were developed and restored to create a common area, a spa, and 4 suites for the La Dimora di Metello Hotel. 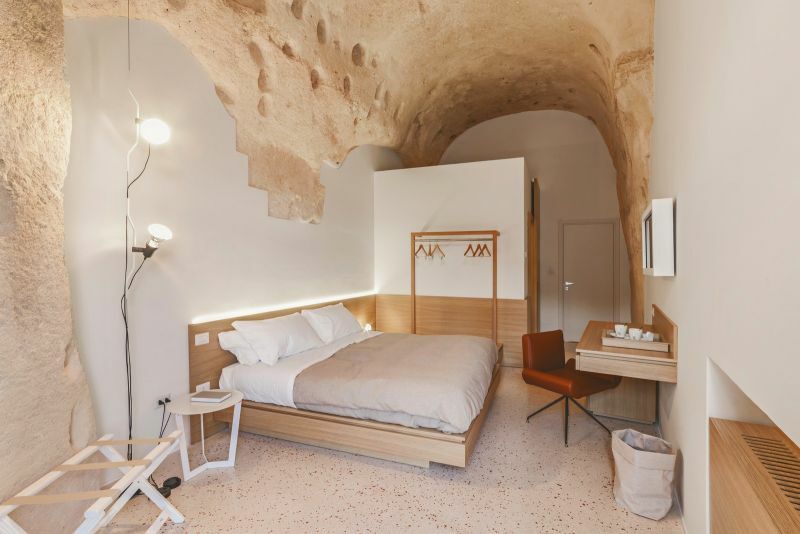 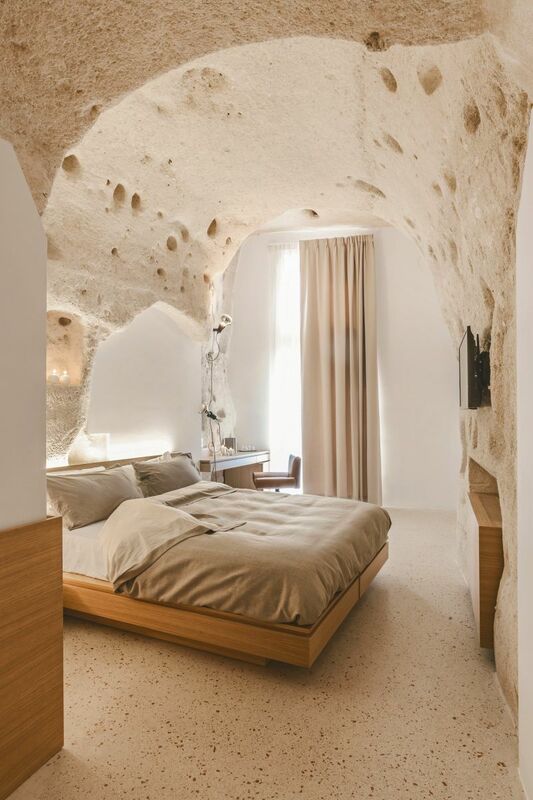 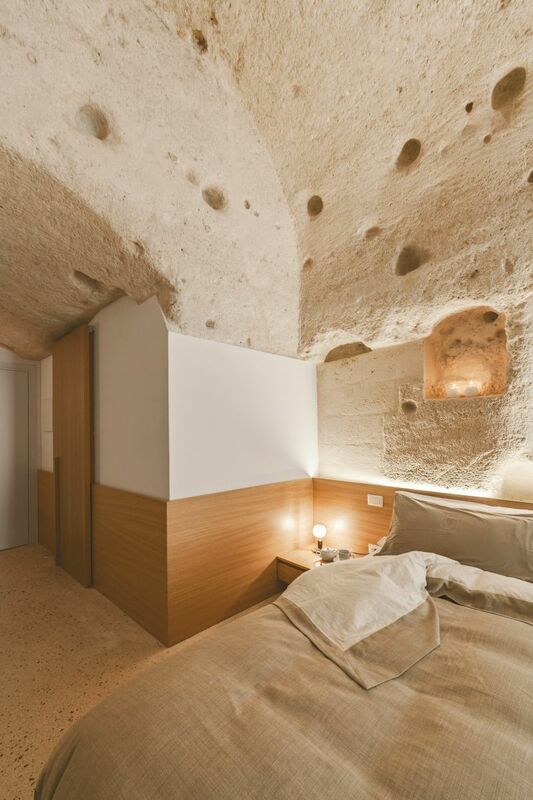 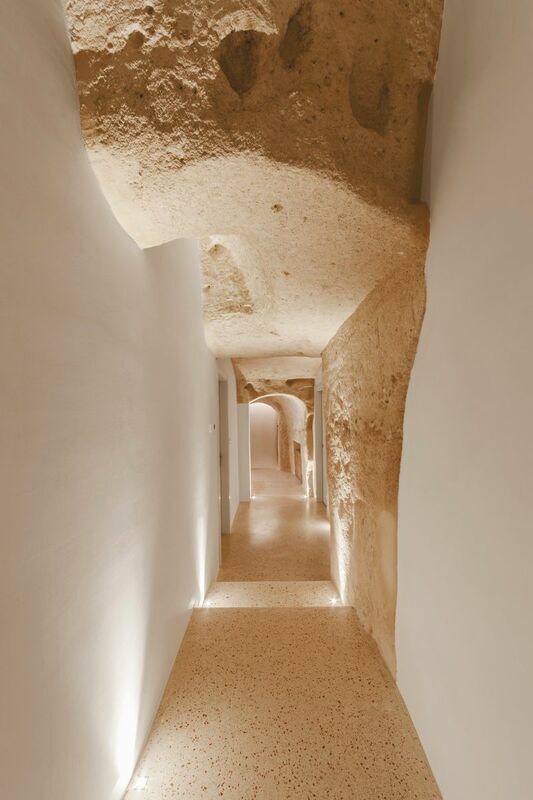 Each room of the hotel is in the grotto style and features walls made from tuff (a rock made from volcanic ash) and plaster to compliment the existing texture of the cave walls. 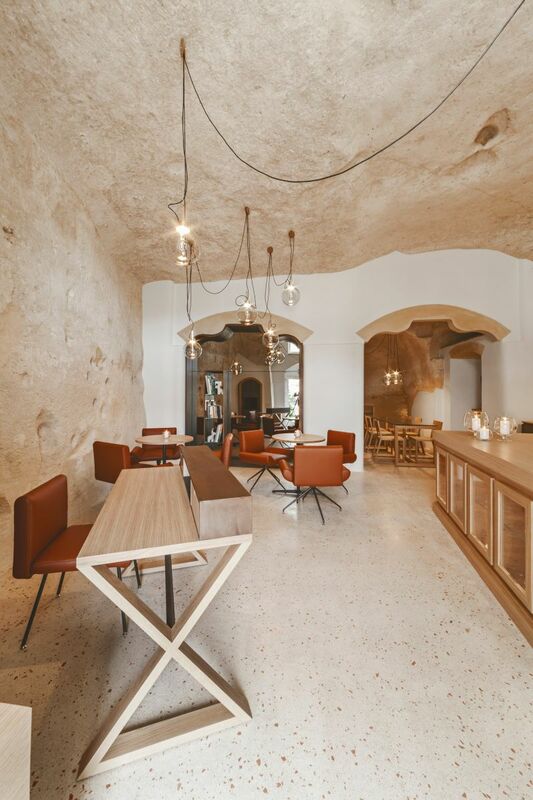 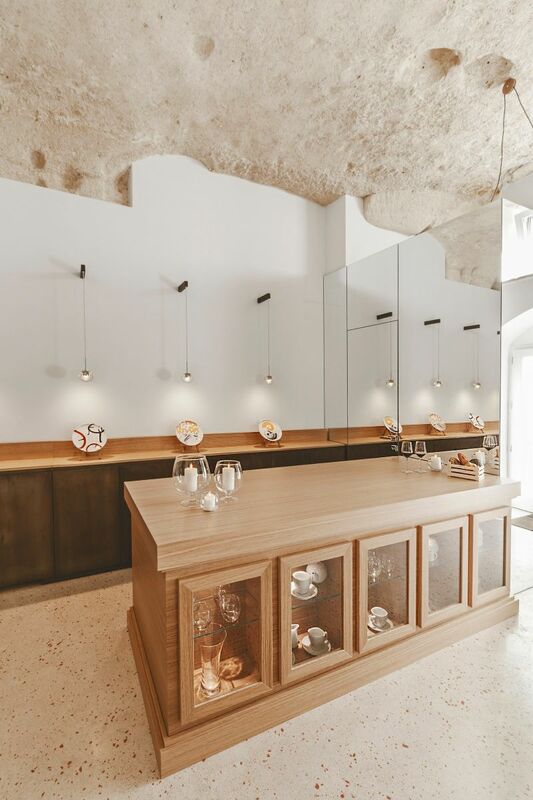 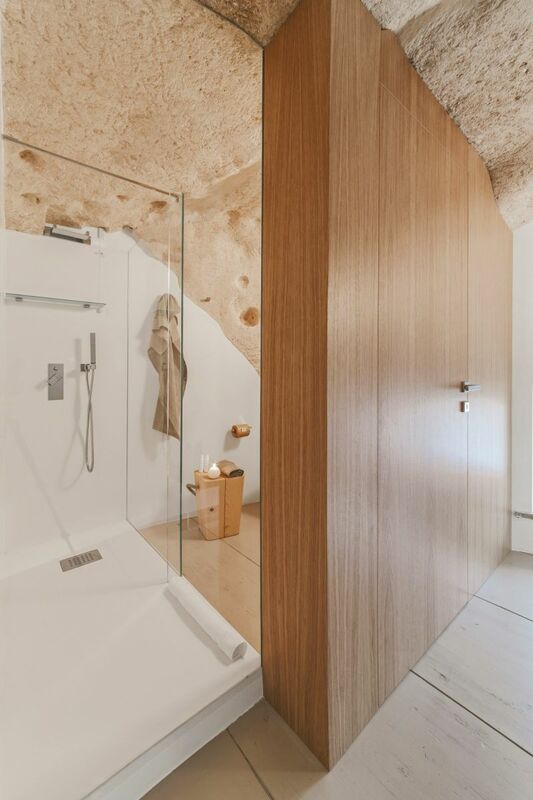 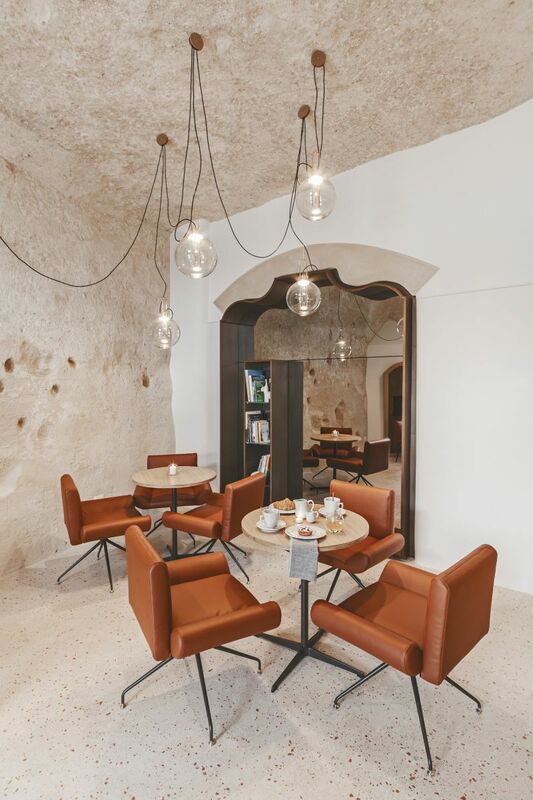 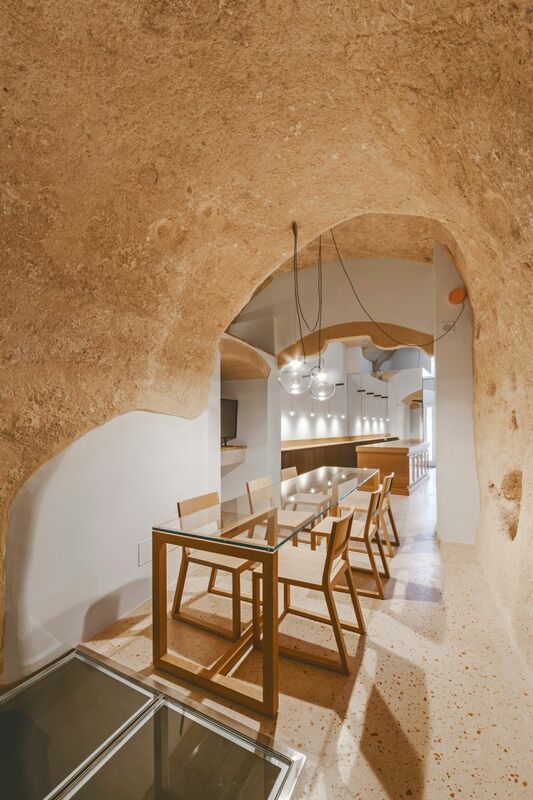 The interior design of the spaces uses wood details, neutral fabrics and simple details to create a minimal earthy feel reminiscent of the caves history but that’s also exceptionally contemporary and modern. 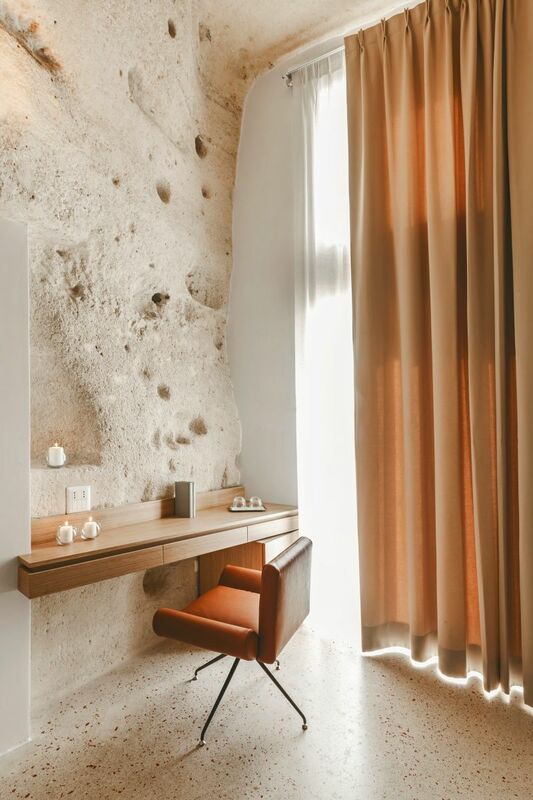 The existing infrastructure meant that the designers had to be resourceful and creative with how they went about adding new walls and installing the modern luxuries people want when they stay in a hotel. 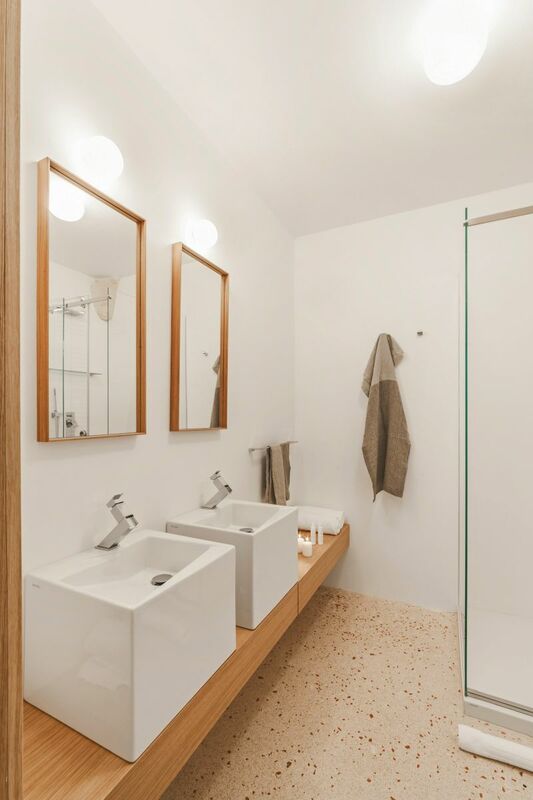 The white walls, added both for privacy and to increase the amount of functional space, make a simple statement, while details like the Lucite staircase and modern bathrooms, add a feeling of luxury. 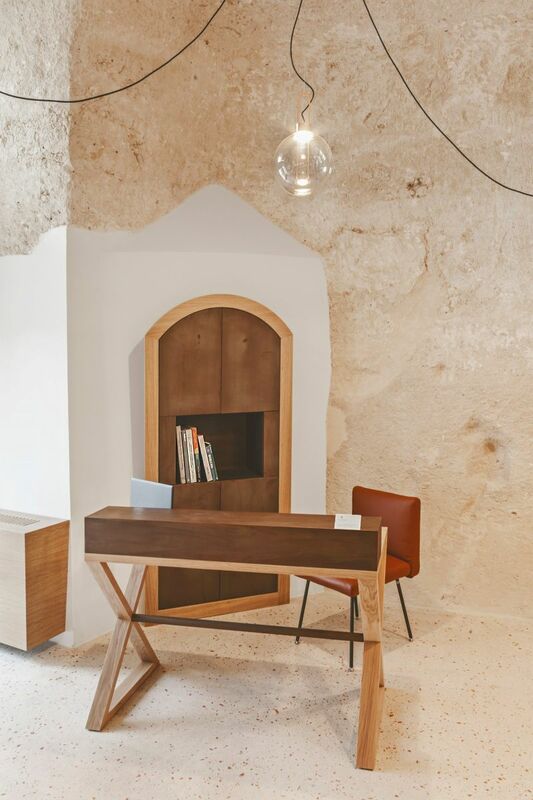 The combination of all of these elements makes this hotel a perfect mix of the traditional and the contemporary. 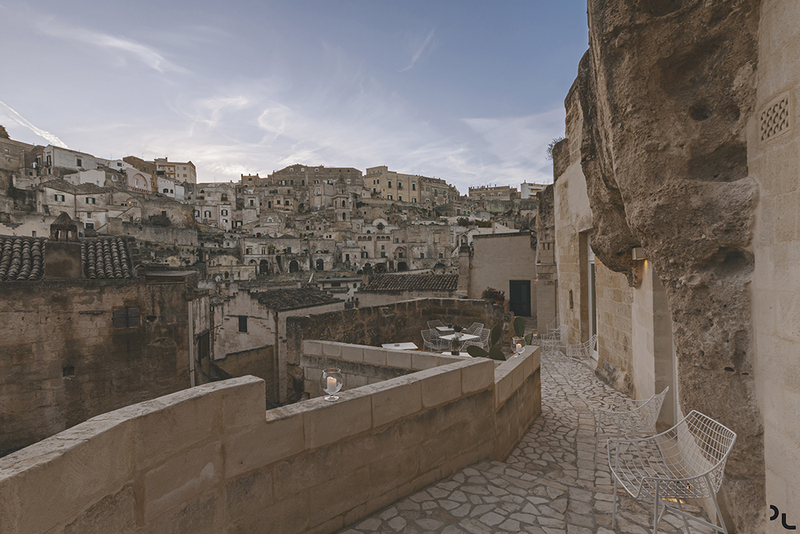 Photography by Pierangelo Laterza.